Posted in Home Decorating	by Hi! I'm Jen. Have you ever wondered grey or gray? I just discovered the spelling grey is more popular with our British friends, while gray is the more common American spelling. Fascinating. So, I love color. 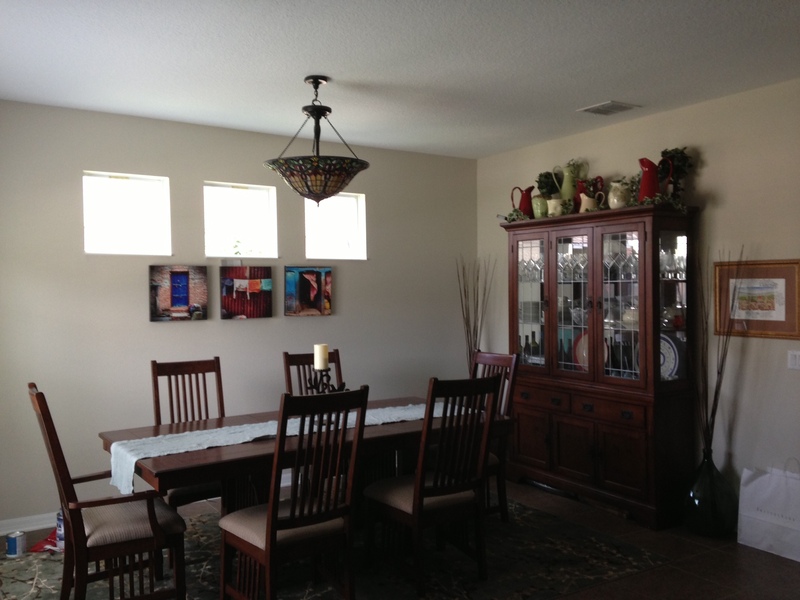 And as thankful as I am for our beautiful home, it did not have much color when we moved in a year ago. Boy has that changed. There is scarce a wall that has not felt my paintbrush. 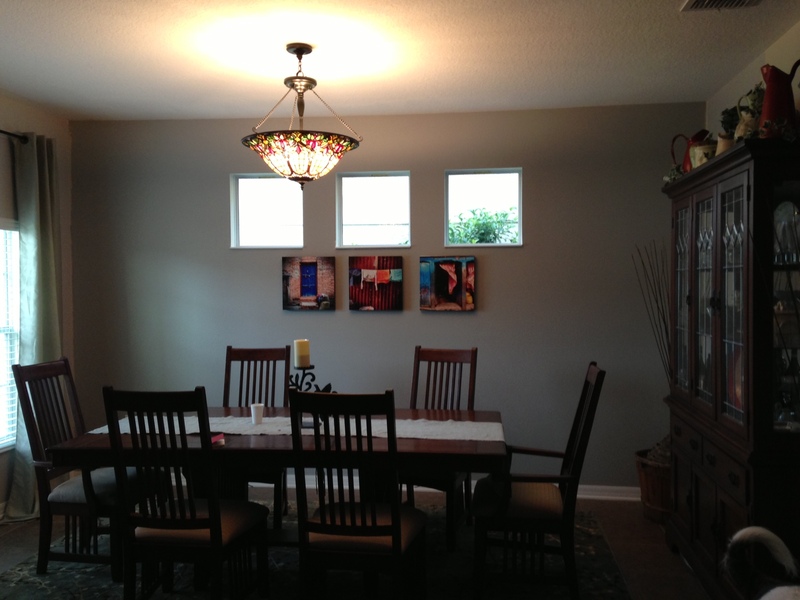 The latest to fall was our dining room, which I painted the most beautiful, most pure, delicious grey. I am so in love, I had to share. And get this, Cody and I painted the whole room (except for right behind the china cabinet, which will take a miraculous feat of man to accomplish) in about an hour and a half. It was that easy and painless! In case you’re wondering, the accent wall is Benjamin Moore’s Coventry Gray and the three other walls are Stonington Gray (one shade lighter on the paint chip). The moral of the story is that painting a room makes a drastic difference, and it’s really relatively painless. Grab a friend and go try it out. My problem with choosing paint colors came down to the fancy titles. I got sucked in by the names and actually became colorblind (definitely a problem when you are choosing colors). Who wouldn’t want “Divine Pleasure” on their walls, or “Friendship Yellow”? I had to look at the swatches and ignore the titles, all the while my practical wife just laughed and shook her head. Ha! You are so right. I LOVE the color on my living room walls, but it’s called “Paris in Rain.” How could you not want that on your walls?